Himachal Pradesh Chief Minister, Virbhadra Singh who was also present at the launch, said, “I am delighted that Snapdeal has taken the initiative to create employment and entrepreneurial opportunities in Dharamshala by creating a special e-commerce zone. 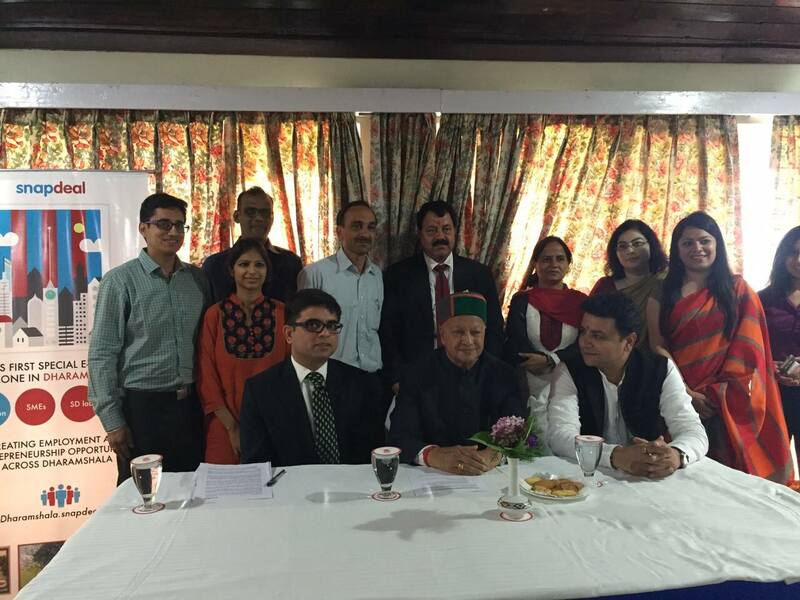 The company said that the zone would offer multi-dimensional digital initiatives like creating online entrepreneurs, information technology training camps, outsourcing to local information technology companies, establishment of a Snapdeal technology innovation lab and promoting traditional state handicrafts through a specially curated online store for Himachali handicrafts. Snapdeal also donated to 20 computers and various science kits to setup a Snapdeal Lab in Dayanand Model Public Schoolschool in Dharmashala. The idea is to give exposure to children about technology at a young age and orient them towards careers in this domain.